from an engraving by John Dunstall. In the winter of 1603-1604, Antonio Neri left Italy to visit his friend Emmanuel Ximenes in Antwerp. There is no way to know the exact path he took, but based on the advice in Ximenes' letters and on well-established trade routes; a good estimation can be made. 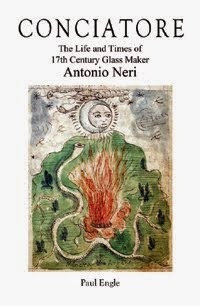 It is likely that Neri was starting from Pisa. The path suggested by his friend took the priest first back east to Florence, then perhaps through Bologna, Ferrara and Padua to Venice. Ximenes offered to make arrangements for Neri to travel from Venice with traders headed to the Frankfurt fair held at mid-lent. There would have been plenty of time for him to celebrate Advent in Florence and Christmas in Venice before his caravan headed north. The group could have left as late as the end of January. Ximenes suggested that Neri travel with the courier from Florence to Venice. He was referring to the system of coaches that delivered the mail throughout Habsburg Europe, run since the early 1500s by the De Taxis family. While the Medici and other heads of state maintained their own fast couriers for diplomatic and military messaging, the De Taxis had a monopoly on almost every other piece of correspondence, a privilege for the family that was later extended to other parts of the world by the Holy Roman Emperor. They ran an efficient system well into the eighteenth century. An elaborate series of 'posts' were set up at intervals, where tired horses were watered and swapped for fresh steeds and riders so that the journey could continue uninterrupted. Independent travelers could partake in the system for a fee based on equipment required and the weight of luggage. In Neri's time, accounts were settled at each post and travelers could elect to stay over in a town and pick up a later expedition. On well-established popular routes like between Florence and Rome, travelers could pay a flat rate that included lodging and meals. If Neri had traveled light and spoke some German, he might have completed the entire journey in as little as ten days; the time letters from Venice to Flanders took to arrive. However Ximenes advice suggests a longer excursion. I would recommend that you should go with the courier from Florence to Venice, arriving in Venice in time that you would be able to accompany the merchants who come to the fair held in Frankfurt at mid Lent; you will stay there the length of the fair for fifteen days, which will not displease you for having seen it. After that, you would go in the company of other merchants to Cologne, and then with them or others, by land or sea to Holland, ending up at this city. This sea, however, is nothing more than rivers. I recently went by land to Basel and from there by water ending here. But for Your Lordship, who does not speak the German and Flemish languages, I would consider better the way that I say, with merchants from Venice to Frankfurt and then with others by water to arrive here. On Embarking from Venice, the party of traders would head west, back to Padua, on to Verona and then north along the ancient trade route through Bolzano to the Brenner Pass. The journey from Venice to Frankfurt was about 600 miles (950 km). Traveling an average of 30 miles per day, they would be on the road for three weeks. Depending on their itinerary, the journey could have varied by a week in either direction. The start of the fair was mid-lent, the date of the traditional feast held three weeks before Easter. In 1604 mid-lent Sunday fell on 28 March. Brenner is the lowest pass across the central Alps, connecting Bolzano on one side to Innsbruck on the other and was passable year round. The distance of this, most difficult part of the journey, was about 75 miles (120 km), with a vertical climb of 4,495 ft (1,370 m), almost a full mile, but all below the tree line. Assuming a slow pace for pack animals, this segment could still be completed in less than a week, stopping in Bressanone, (Brixen), then at the alpine city of Vipiteno (Sterzing), where perhaps some extra time was taken to rest and view the nearby silver mines. Gries am Brenner was just over the pass on the Austrian side. With the majestic Wipp valley (Wipptal) at their backs, the remaining journey was down hill from there. From Innsbruck, the traders would head towards Augsburg, perhaps with an excursion through Munich, which was then the capital of Bavaria. The route from Augsburg through Wurzburg to Frankfurt was riddled with small towns accustomed to hosting traders since Roman times. After a few weeks on the road, the fair at Frankfurt would have come as a welcome diversion. At the end of the fair, a week before Easter, Neri would start the final 250 miles (400 km) of his journey. 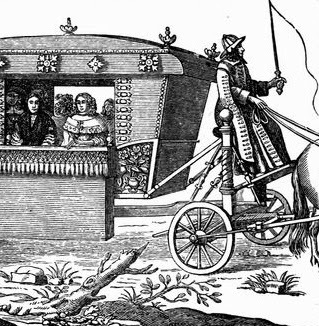 First, he would travel over land with merchants or the Ximenes family servant to the walled city of Cologne on the Rhine River. Next, he would move by water toward the sea. The northern route, along the Rhine, avoided the military conflicts between the Dutch Republic and the Hapsburg Empire. The most dangerous were between Liege and Antwerp. From Rotterdam, the inland waterways led south to Antwerp. Priest Neri may well have arrived in time for Easter Vigil. This post first appeared in a shorter form on 21 October 2013.